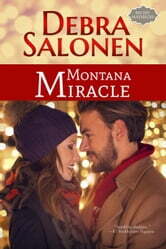 Sometimes, it takes a village to create a Montana miracle. Gage Monroe has given himself until Christmas Day to wrap up the unpleasant bits and pieces of his old life in Paradise, Montana, before starting fresh in much warmer climes. And the last thing a loner like Gage needs is a beautiful, passionate pastor's misguided attempt to draw him into her flock. The people of Paradise exiled Gage a long time ago...with good reason. Loved this one!!! Once I started reading Gage and Samantha's story I couldn't stop. There's nothing left for Gage in Paradise, Montana but a run down farmhouse and a boatload of bad memories. So getting the house fixed up and ready to sell is his focus. He's given himself a month to get it done and get out of town. That is until he comes across a certain minister who isn't quite what he was expecting. Pastor Sam is a woman. All woman. And she's a woman he can't get out of his head! This is a wonderful story of letting the past go, accepting what's right now, and looking forward to the future. Gage finally believes he deserves a bright future, as long as Sam is by his side. I highly recommend this one!! A heartwarming Christmas story that I could not put down. 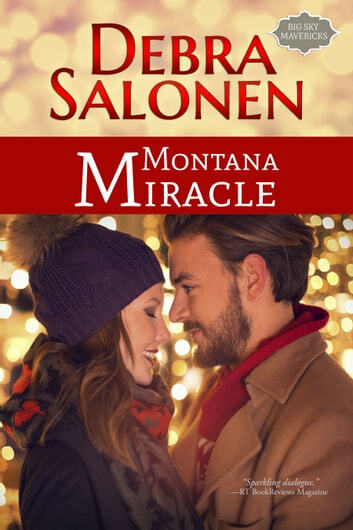 I so enjoyed the building romance of Gage and Pastor Sam.Gage has come back to Paradise Montana for a short time to wrap up what life he has left there. When he meets the new Pastor Sam, who is busy planning her living creche for Christmas. If she gets her way Gage will be Joseph. Sam sees so much more in Gage then what he sees in himself. Sam is a single mom of Makayla, a teenager who is searching for her father. Sam is related to the Zabrinsky family from the previous Big Sky Mavericks stories, it was great to catch up with them. Love how Debra included the barn, the three wise men and a dog in her story line. I highly recommend this book to bring the true meaning of Christmas this season.